PS. For everybody who doesn´t know what SSPX is - it´s a society that celebrates the Holy Mass in the Old Latin Rite. In other words the Tridentine Rite! God bless - I am anxious to hear from anyone who´s got some more information regarding this subject! Have you tried contacting the SSPX in Econe? If there is no SSPX priest in the Dubrovnik area they may know of an independent priest. I hope you manage to find the true Mass. I have tried to look for ANY type of information regarding the True Mass in the whole entire area of Croatia (over the internet of course)...I´ll try to find out from Econe! I am sorry but Ana Marija and Viana is the SAME person...sorry about that! PS. At this stage I prefer being anonymous... I hope you understand! That's fine. I'm in New Zealand. While you look for the True Mass in your own country why not keep in contact with like-minded Catholics via this Internet forum http://www.angelqueen.org/forum/. You could also send a private email to the moderator (servitium) to see if he has any contacts. Good luck with your search and keep the faith. THANK YOU JOHN - I will go and check out this site right away! God bless and you keep the faith as well! 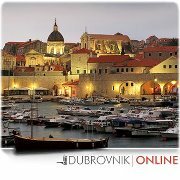 Is there any Mass centre then in Dubrovnk area - I want to organise a holiday for my parents in this area but cannot really if there is not a Mass for them to go to. Also any suggestions for good hotels or guest house?? From 17.07.2011 the Church of St. Nicholas in Dubrovnik has again began to serve the traditional Latin Mass in the Dominican Rite. This small church is located in Gruž Port, near the main bus station.